 Last noted English player Phil Maguire in late 2016 with a very limited CDR he made for Linear Obsessional. Here he is again with a cassette tape called smll hand / dctfl hnd (DRONE WARFARE TAPES DW005), containing seven tracks all identified by lower-case strings of gibberish characters which may have leaped out one day from a codebase stored somewhere on github, meaning little to human beings. Although this is an “old” release (from 2014) I’m prepared to give it the time of day, as we enjoy Maguire’s process art music very much. The 2016 album was made using a Raspberry Pi, but I have no information or insights as to how this cassette came about, and I remain content to wallow in the single-minded unvarying tones that emanate from its core, emitting patterns and regular shapes with an obsessive insistence. There’s something quite inhuman, yet strangely satisfying, about the way these eerie sounds coalesce and change, and they breed and multiply like alien life forms which have dropped down to earth from a microscopic galaxy. Virtually impossible to second-guess what directions Maguire might wish to be taking us, yet while we’re here under this steel canopy it seems the most natural place on earth. From 25th October 2016.